It’s something most of take for granted. We’ll check Google to see if it’s going to rain when we leave the house, or catch the TV news to find out if the weekend might be sunny. We now have so many ways to see the weather forecast that it almost seems simple. In fact, predicting what the weather is going to do is incredibly complex, with lots of different elements at play (elements, get it?). Forecasting the weather is the job of a meteorologist. It’s is a tricky but fascinating career where you get to think on your feet to solve problems and provide a much-needed service. Meteorologists study the reasons behind different weather conditions and climate patterns, using data taken from the land, oceans and atmosphere. Of course the public need weather forecasts. But industries also need meteorological forecasts, including the armed forces, farming, the media, and health services. What's a day in the life of a meteorologist really like? Carrie is a morning meteorologist for an American TV channel. So she reports the weather for TV viewers, but first and foremost she is a scientist. Her day kicks off super early – at 1 in the morning. She gets to the station about 3.30am to prepare the day’s forecast. Carries then checks out data from radars and satellites to make her own predictions about what the weather will do that day. Then she makes her first appearance on air at 4.30am. Check out this video to see what meteorologists get up to every day. Using that research to give flood warnings or describe what the effects of climate change might be. What skills does it take to be a meteorologist? As you can see, being a meteorologist is a challenging but interesting career. It’s a tough subject so you will need to be strong in maths, science and IT to succeed. Do you find yourself wondering about our physical world? Or asking questions about the atmosphere, or oceans? Maybe you’re a Planet Earth fanatic? If you have a genuine passion for the environment, and a real drive to discover more about the world around us, being a meteorologist could be perfect! So tell me how to become a meteorologist. 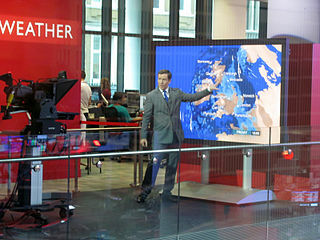 To become a meteorologist, you will need an undergraduate degree in meteorology, science, computer science, maths, or physics. You can look at the Royal Meteorological Society website to see a list of degrees that have been accredited. If this sounds like it could be the right path for you, but you’re not sure, you can get an insight into the role by doing work experience. 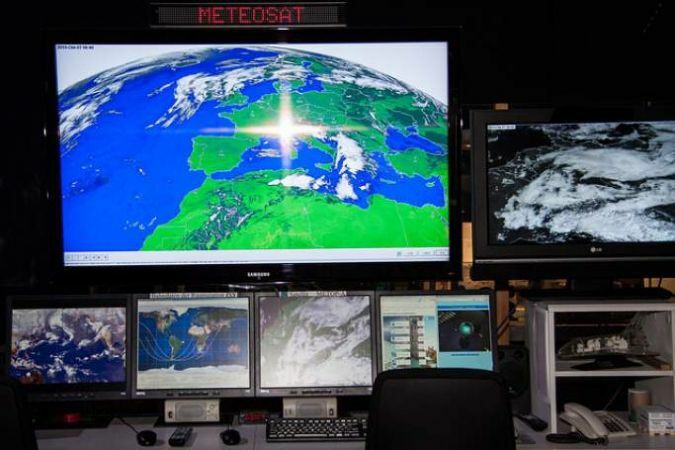 The Met Office offers one-week placements for people aged between 14 and 17. You can see what meteorology is really like, take part in creative workshops, and hear from staff. Feeling inspired? Check out these other awesome science jobs you could do.